From freelance consulting to ecommerce stores and crafting done on the weekends for fun, side hustles are everywhere these days. In fact, about four in 10 Americans now have a side job, according to a Bankrate.com study. This helps the average “side hustler” to bring in an average of $8,000 annually, the study says. But just because you’re doing it “on the side” doesn’t mean you can forego picking the right measurement metrics. This post delves into the world of side hustle metrics so you can choose the ones that are right for you. You can’t just copy-paste “ordinary” business metrics into your side hustle. Because your side hustle is a lot different than any other business! Yes, in some cases money is the number one reason why people decide to pursue a side hustle. For some, a side hustle is about trying to build skills in an area where they don’t already have experience. For others, it’s about getting some extra revenue to re-invest in projects or goods they enjoy making. These goals are completely different from most businesses, where profits and revenue (for the most part) rule the day. Even if earning some extra cash is the goal, the considerations are completely different. For example: Most side hustles can’t, and won’t, have access to credit. That means they need to be run at least on a cost-recovery basis with a short span of time as the focus – no going into debt with an eye towards achieving profitability a decade down the road. Add it all up and you’ll find that regular business metrics won’t apply to the side hustle world. The reason you started your side hustle is essential to setting up the right metrics. If you’re just looking to sell some of the crafts you make on the weekends, then profit probably isn’t going to matter to you. If you’re hoping to use your side hustle to eventually start a full-time business and quit your day job, then profit likely will be something worth following. The point is this: You need to clearly define your reason for building your side hustle to set your metrics. Time is always an important consideration, regardless of the business you are in. But it becomes even more important when it’s in short supply, as is the case with most – if not all – side hustles. If you are devoting a ton of time to your side hustle and not getting a good return in terms of satisfaction, extra income or making progress towards your career goals, then you probably need to reconsider your business model. Chances are, the margins for your side hustle are dependent on keeping costs way, way, way down. After all, you’re not managing a multi-million dollar a year company that can dip into cash reserves or get a cash infusion through a loan. You’re just trying to make a little extra money on the side! A sudden rise in expenses could turn an easy source of income into an expensive headache. The ideal side hustle, at least if your main goal is revenue, is one that you can run with minimal overhead and that relies largely on equipment and expertise you already have. It takes a different breed to become a side hustler. Whatever is motivating you – whether it be money on the side or the chance to sell something you make – you need to ensure you have it in sufficient supply. That’s why you should do whatever you can to measure it properly. For most of us, going into our day jobs doesn’t require any extra effort. That’s not the case with a side hustle, which frequently requires you to put in extra hours on weekends, evenings and early mornings – the times, in other words, which most nine-to-fivers reserve for rest. The fact of that matter is this: Side hustle burnout is real. Staying fresh is going to be tough for many people, which is why this should be considered when putting together your metrics. Not all of these metrics will work for you when setting up your key performance indicators (KPIs) or objectives and key results (OKRs). But even if they don’t hopefully they’ll at least spur some ideas for what you want to use. 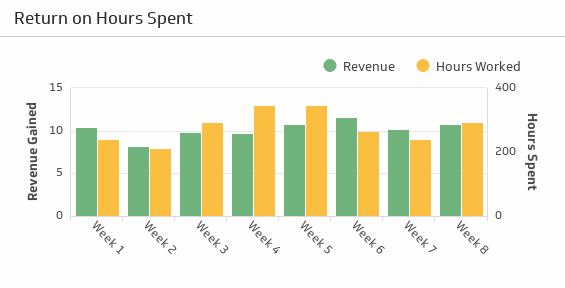 This metric helps to measure how much you are getting back from the time you are spending on your side hustle. It could be money. Or items sold. Or, if you’re trying to turn your side hustle into a full-time job, growth. Whatever it is, you’ll want to get a sense that all those hours you are devoting to your side hustle are worth it. If you find you are devoting a lot of time to something but not getting much from it in terms of following through on your goal, then it might be time to find a new one. For example: If your goal is to make some passive income, then a side hustle like setting up an ecommerce store will look especially attractive. That’s because strategies like dropshipping mean a dropshipping partner is taking care of shipping and, in many cases, manufacturing, the products that you are selling. All you need to do is ensure you’re offering a compelling product and that you’re selling them at enough of a markup that you’re earning profit. Freelancers don’t get paid for the time they spend recruiting a client. They only get paid for the billable hours they complete after they’ve already secured that client. 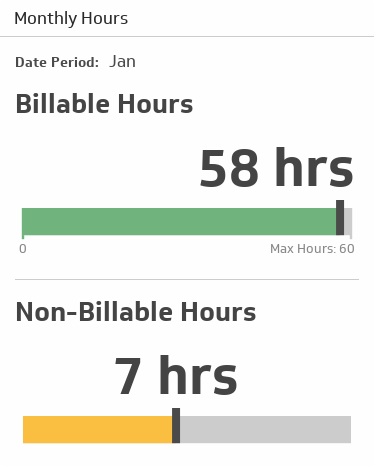 That’s why it’s a good idea to track the percentage of billable hours you spend on your business. This way you can then compare to how much you are spending trying to recruit that business. It’s not just client recruiting and marketing either. Side hustlers also need to spend time on administrative tasks such as doing taxes and invoicing – all jobs for which you aren’t getting paid. If you’re spending too much time on non-billable hours, then you either need to increase your revenue or find another business area. This is particularly important if you are doing a side hustle for the money. If that’s the case, you’ll want to know how much difference the revenue you’re bringing in is making in your overall financial situation. If you’re wearing yourself out using your side hustle to bring in extra money but finding it’s not helping to make a dent in your financial goals, it might be time to re-evaluate your strategy. 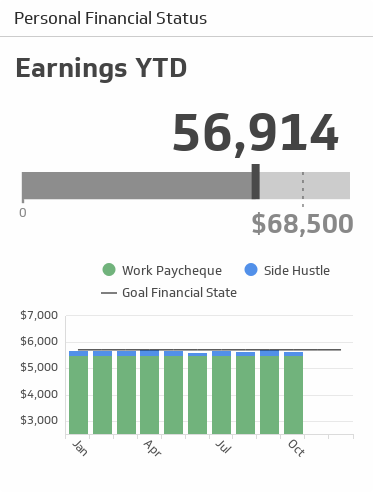 Some side hustles are “passive” income. That means that, after you put in the initial effort, you earn income mostly without doing anything. 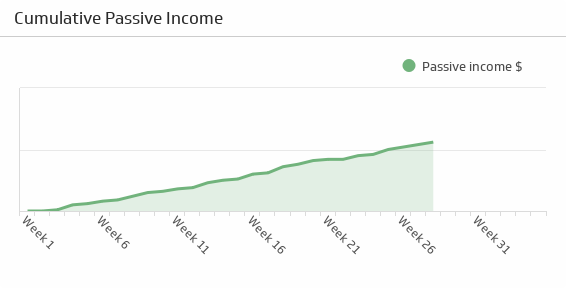 If your goal is to make as much as income with as little effort as possible, then growing your passive income should be a key focus. An ecommerce store that uses dropshipping (discussed above) is a good example of how someone can earn passive income. So would owning a property – either in your home or elsewhere – that you rent out to tenants. It’s important to note here that not all of these side hustles are entirely passive. Dropshipping-based ecommerce stores, for example, still require set-up, troubleshooting and maintenance. Similarly, income property owners need to devote a decent amount of time to keeping their properties up-to-date, finding tenants and ensuring their complying with legal and tax regulations. Side hustles can be fulfilling labours of love, a great source of some extra income or a chance to pursue a lifelong dream. But if you don’t plan in the right way, you can quickly find they turn into the opposite – a drain on your passion and bank account. By adopting the right metrics, you can ensure your side hustle is set up for success.